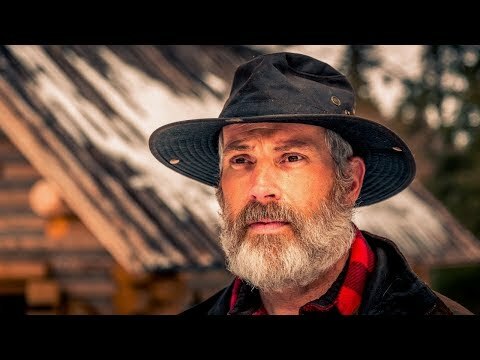 One man leaves the city life behind to build a cheap off grid log cabin and homestead in the Canadian wilderness, including a log home, an outdoor kitchen, an outhouse, a woodshed and a sauna bathhouse. Building mostly with hand tools, Shawn James harvests building materials from the forests north of Toronto, Canada and crafts them into functional tools and shelters using traditional woodworking tools and methods. He practices bushcraft and survival skills every day, including fire starting, tree identification and harvesting, wild edible foraging, fishing, hunting, camping in the summer and winter, travelling by canoe and snowshoe, navigation and water collection and purification. Continue watching in 2019 as Shawn finishes the sauna, plants a forest garden for fruit and vegetables, builds an underground root cellar, ice house and cheese cave, a timber frame workshop and a remote hunt camp closer to fish and game.